Alimony, also referred to as spousal support, is a contentious issue in many Florida divorce cases. If you are going through a divorce, you or your spouse may be entitled to an alimony award. As a result of the 1979 Supreme Court case of Orr v. Orr, alimony is gender neutral. By law, either spouse can be compelled to pay or entitled to receive alimony. All alimony is not created equal. Indeed, there are actually six different types of spousal support awards in Florida. Here, our Orlando alimony lawyers will discuss one of those six: rehabilitative alimony. Rehabilitative alimony is designed to help a ‘needy’ spouse become economically self sufficient. Specifically, this type of spousal support can be used to help a spouse acquire much needed skills, training or education advancement. By its very nature, this type of alimony is not designed to be permanent. 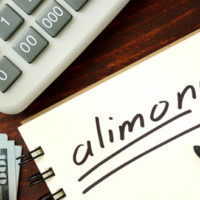 When it comes to crafting an alimony award, Florida courts are allowed to consider the totality of the circumstances of the marriage. The fact that courts are entitled to very broad discretion in alimony disputes was made clear in the case of Canakaris v. Canakaris. In that case, the Supreme Court of Florida noted that alimony, including rehabilitative alimony, should be viewed as one part of a broad set of tools that can be used to craft an equitable overall divorce resolution. The terms of a rehabilitative alimony award will always depend on specific facts of the marriage involved. The amount and length of alimony can vary considerably. Indeed, in some cases, a court may award rehabilitative alimony for a fixed time period, whereas in other cases, it will be awarded on an indefinite basis. It will all depend on what the court views is reasonable and necessary to help a party move toward financial independence. Clearly explains the path towards self sufficiency. If you are seeking rehabilitative spousal support, it is imperative that you work with an experienced attorney who can help you present your case properly, so that you are actually able to obtain the funds needed to get you to economic independence. Without proper documentation, you may be unable to recover what you are truly owed. If you are currently involved in a dispute over alimony, please seek professional legal assistance. At the Law Offices of Steve W. Marsee, P.A., our Orlando spousal support attorneys are standing by, ready to help. To request a fully confidential initial case evaluation, call our team today at 407-521-7171 or contact us directly online.